Chris will be one of the dropsonde operators on the NSF/NCAR GV while it is deployed in St. Croix during the PREDICT campaign. An electromechanical technician, Chris works in EOL-s Integrated Surface Flux Facility (ISFF), where researchers focus on exchanges between the atmosphere and Earth-s surface. Chris has degrees in meteorology and geology from Miami University of Ohio. His plan after graduation was to attend graduate school at the University of Wyoming, but he stopped in Boulder along the way and never left the area. When he-s not in the field, Chris is usually calibrating instruments in anticipation of future field projects, or checking instruments from previous ones to confirm that they performed properly. He also spends a lot of time organizing and maintaining EOL-s large stores of research equipment. Will will be on dropsonde duty from September 10 - 30, and willl also take part in assisting with the forecast duty. He is in the process of completing his M.S. at the University of Miami in Meteorology, and will be staying at UM to complete his PhD. He graduated from the University of Albany with and BS degrees in Physics and Atmospheric Science. While his masters works has focused on track prediction, Will plans to shift towards hurricane genesis while working towards his PhD, thus PREDICT will be a great starting point for him! Tim is a senior technician with a specialty in radiosondes. Tim's degree is in Electrical Engineering, but has always been fascinated by the weather. He found the nexus of engineering+research+education at EOL, where he builds instruments for research, and then take them into the field and collect data. Tim has flown into hurricanes before in RAINEX, chased tornadoes in VORTEX, measured climate change in BUFEX, but loves to spend time doing educational outreach to students, too. Tim spends most of his time on deployments using weather balloons to take the instruments from the ground up into the atmosphere, but for PREDICT, he will be will be working on the Dropsonde system aboard the NSF/NCAR GV aircraft. By the time PREDICT starts, Dan will be a postdoctoral scientist at Pennsylvania State University. For PREDICT, he will be a Dropsonde Assistant from Aug 25th to Sept 15th. Most of his graduate school experience involved sitting in front of a computer in a windowless office, and so he is really looking forward to the opportunity to participate in a field project! 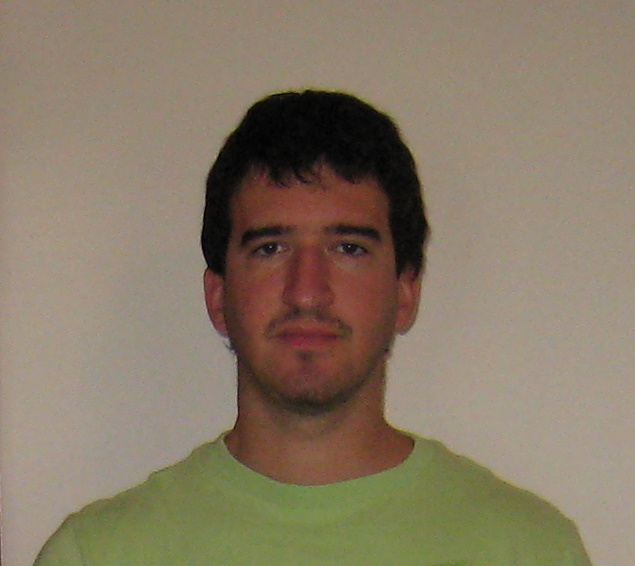 Dan's primary research interest is in tropical cyclone dynamics and structure. He received his PhD in Meteorology and Physical Oceanography from the Rosenstiel School of Marine and Atmospheric Science in June 2010. Dan did his undergraduate work at Cornell University, where he received a BA in Science of Earth Systems in 2005. Segayle will be assisting with dropsondes and processing of the data during the PREDICT field campaign. She is currently a post doctoral fellow with Oak Ridge Associated Universities (ORAU) at NASA/Goddard Space Flight Center in the Mesoscale Dynamics and Modeling group. Her research interest is cloud microphysics and dynamics. Segayle received her PhD from Howard University in Atmospheric Science in May 2009. Prior to PREDICT, Segayle participated in other field campaigns including WAVES (WAter vapor Validation Experiment: Satellites and Sondes) and NAMMA (NASA African Monsoon Multidisciplinary Analyses). Laura is the lead dropsonde technician for NCAR/EOL. She oversees any and all field projects involving NCAR's dropsonde systems, from installing the equipment on the specified aircraft to operating the system and actually dropping the sondes. Laura has a bachelor's degree in physics from San Francisco State University. She loves her job and fortunately for her, she doesn't get airsick! Kate Young is an Associate Scientist in the Earth Observing Laboratory at NCAR. Kate is responsible for quality control of EOL-s radiosonde and dropsonde sounding data. Her responsibilities during PREDICT include: training and oversight of the student dropsonde operators in the operations center, and ensuring smooth data flow from the aircraft to the operations center and then on to the GTS. She has a degree in Earth Science from the University of Northern Colorado and is currently working towards her Masters in Applied Statistic and Research Methods.